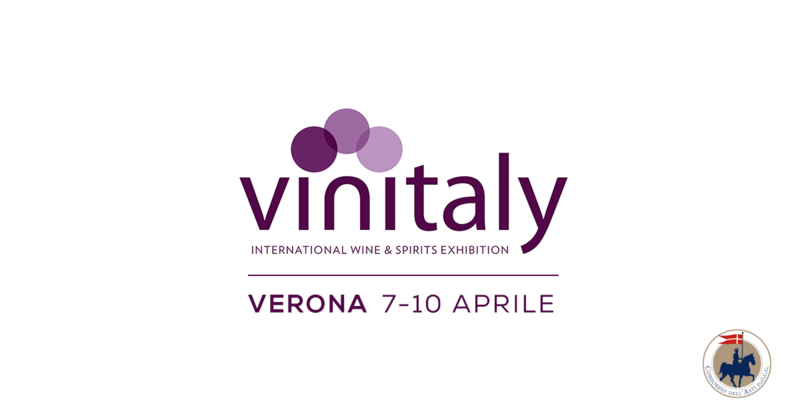 Excellent feedback for the press tour organized by the Consorzio dell’Asti DOCG. “I’m falling in love” was the most frequent comment among the 16 guests who visited the vineyards and wineries at Ceretto, Vignaioli di Santo Stefano, Caudrina, Coppo, Michele Chiarlo and Marenco. 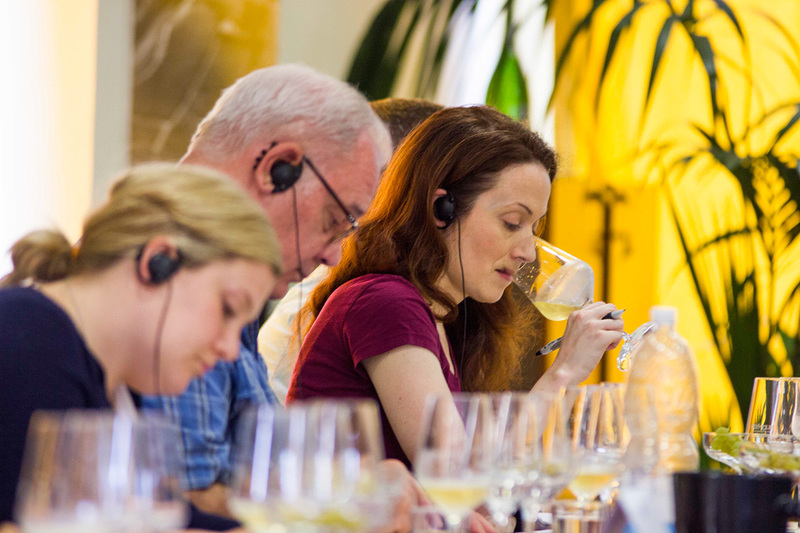 Asti, 6 September 2017 – The unparalleled aromas and flavors of Moscato d’Asti, the extraordinary beauty of the vineyards, the centennial history and the wineries and the dedication passed on from generation to generation: this – and a lot more – conquered the prestigious U.S. delegation hosted by the Consorzio dell’Asti DOCG over the four days they spent in the area. The group included 11 sommeliers, most of whom were visiting Piemonte for the first time: Amanda Rochelle Sparacino (Sommelier at Del Frico’s Restaurant Group, Chicago, Illinois), Curtis Stanton Dyer (Wine Director at Bob’s Steak and Chop House, Dallas, Texas), Gregory Alan Aiken (Assistant General Manager & Wine Director at Mastro’s Ocean Club Restaurants, Newport, California), Kevin Lanctot (Wine Director at Michael’s on Naples Ristorante, Long Beach, California), Jeffrey Dwayne Mayfield (Wine Director at Del Frisco’s Restaurant Group, Philadelphia, Pennsylvania), Keith Andrew Hansen (Beverage Manager & Wine Director at Intercontinental Hotels Group, San Francisco, California), Tonya Monae Pitts (Sommelier & Wine Director at One Market/Lark Creek Restaurant Group, San Francisco, California), Sylvie Gervais (Wine Director at Mizner Country Club, Miami, Florida), Tarik Bouslama (Sommelier at Four Seasons Hotels and Resorts, Orlando, Florida), and Tina Pamela Silverberg (Corporate Sommelier & Senior Beverage Operation Specialist at Legal Sea Foods, Boston, Massachusetts). With them were illustrious names of the wine world in the U.S.A.: Patrick James Cassidy from Miami, Professor at Florida International University and a former prominent wine buyer in the U.S.; Cathrine Marie Todd from New York, editorialist for several magazines and the creator of the influential Dame Wine blog; Lyndan Howard Farmer, editorialist at Miami Indulge Magazine and director of Veritage Miami, Raymond Fister from Milwaukee, radio journalist and creator of the web magazine Life Between the Vines, Thomas A. Hyland from Chicago, journalist and photographer and one of the greatest experts on Italian wine and the author of the Reflections on Wine magazine, and Wanda Rowe from Miami, Managing Editor of the Southern Beverage Journal. After a welcome address by Consortium President Romano Dogliotti and an institutional dinner at the historical seat of Palazzo Gastaldi, the guests had an opportunity to appreciate the work that goes into improving the quality and protecting the identity of our DOCG wines at the Laboratory in Isola d’Asti. Questions to Guido Bezzo, the Lab’s Technical Manager, and Giorgio Bosticco, CEO, particularly focused on the Consortium’s role, as well as on controls, product traceability and future promotional activities in the U.S.A. 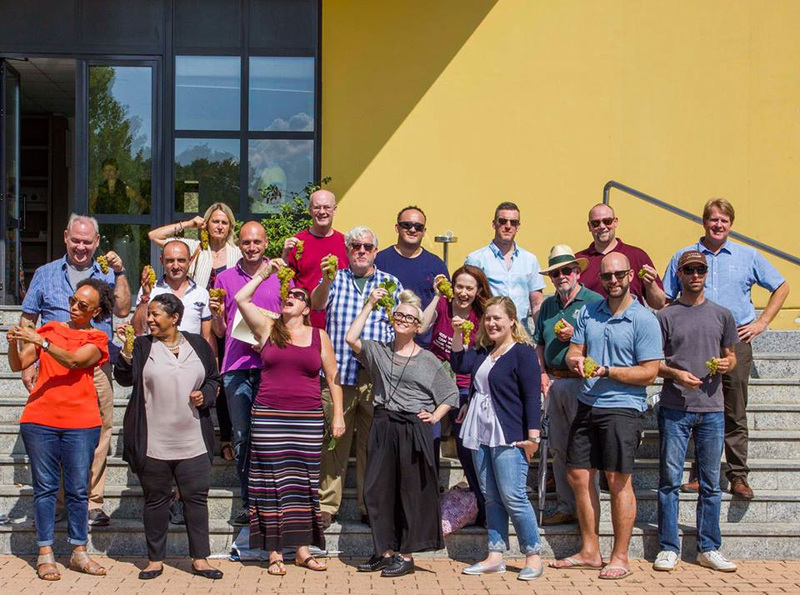 The Moscato discovery tour then delved into the program with a visit to a selection of wineries: Ceretto, Vignaioli di Santo Stefano Belbo, Coppo, Caudrina, Michele Chiarlo, and Marenco. 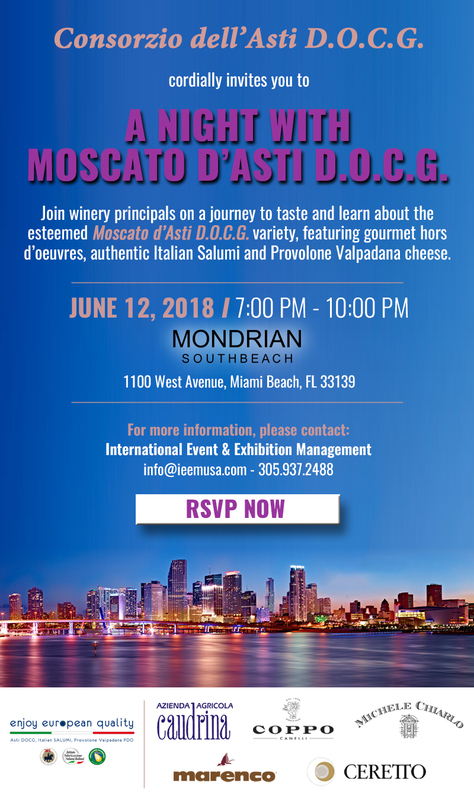 The press trip is part of the Moscato d’Asti promotion plan in the U.S.A., funded by the CMO. 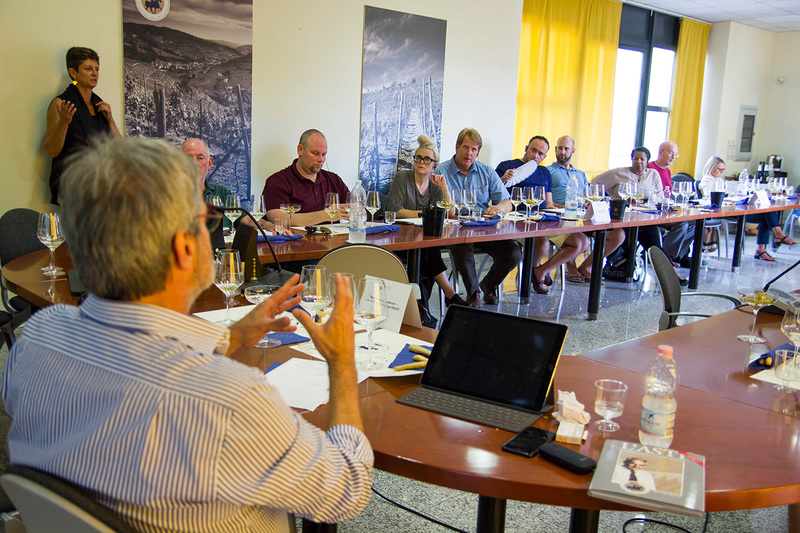 Between late October and the first months of 2018 more Moscato Masterclass meetings and tastings are scheduled to take place in Chicago, San Francisco and Miami. 1) The delegation of sommeliers and journalists at the Consorzio dell’Asti DOCG’s facility in Isola d’Asti. 2) The CEO, Giorgio Bosticco, discusses the role of the Consortium , the traceability system and the specificities of Asti DOCG. 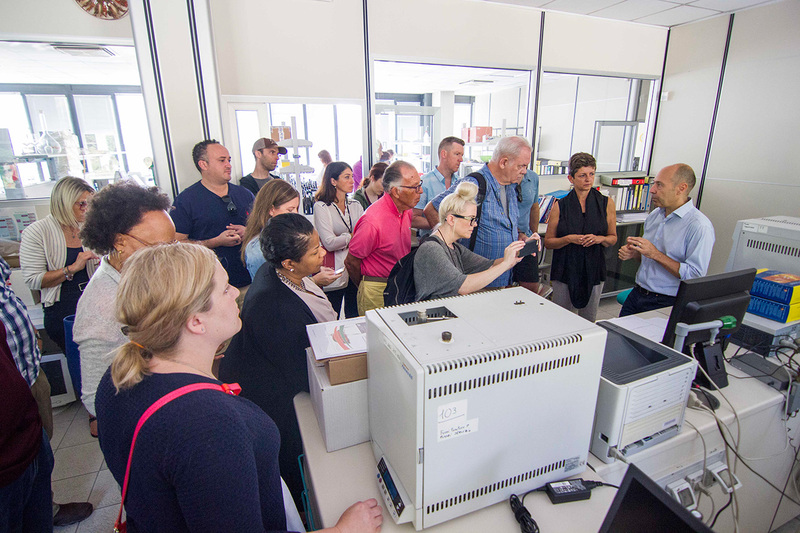 3) The delegation visits the Consortium’s laboratory with manager Guido Bezzo.